For the original article by Debora Pio in Portuguese published in Viva Favela click here. 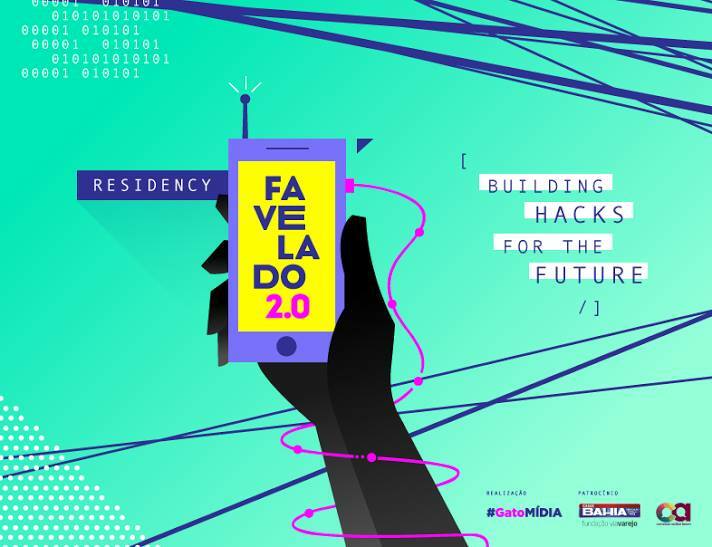 A team of favela residents involved in web culture and who develop their own projects using digital platforms are leading the way at the Favelado 2.0 residency which takes place starting March in Complexo do Alemão. Among the guests and organizers are Raull Santiago, Thainã de Medeiros, Thamyra Thâmara, Marcelo Mangano, Daiene Mendes, Mayara Donaria, Carla CDD, Kinho Buttered, Enderson Araújo, Ana Muza Cipriano, João Lima and Lucas Pelegrineti. Together they have thousands of followers on their fan pages and social networks, and most are dedicated to action in their own communities. The residency has capacity for 20 young people (ages 15 to 29) and registration is open until February 22nd. The initiative is drawing on a wave which looks set to become a tsunami in the favelas: the young maker. Maker culture (do-it-yourself) has always had a presence in the favelas, whether through a lack of resources which ends up enabling creativity, or through the great need of residents to reinvent their day-to-day life. The talent for improvisation can be seen in the gambiarras, or hacks, made for water, electricity and Internet access, as well as the constructions which are genuine feats of architecture. And why not value these skills? Now elevated to popular status, this culture is creating more and more spaces for development and innovation, but they are not yet formally established in the favelas. Rio de Janeiro is going through a dazzling moment in this respect. Research carried out in 2014 by Urban Systems awarded the city with the Brazilian Smart City award. The prize evaluated, among other characteristics, the number of homes with Internet access, broadband connections, public access programs and 4G coverage. 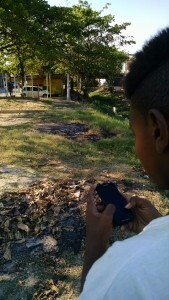 Although in some favelas Internet access is still precarious, young people, primarily, continue to create hacks for tools to create their own narratives on- and offline, using smartphones and tablets as extensions of their own bodies. 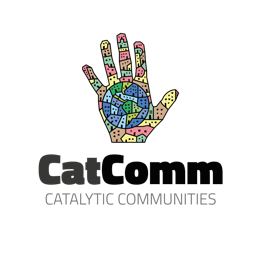 According to Thamyra, who conceived the GatoMÍDIA project, there is still very little penetration of these young favela residents in institutionalized spaces for Makers, such as laboratories and makerspaces. “I agree with the idea that the body is technological: our brain is the software and the body is the hardware. The closed-minded concept of makers, that they are the ones who develop apps and do programing, is a pretty elitist idea which doesn’t encompass our people who are producing social technology. 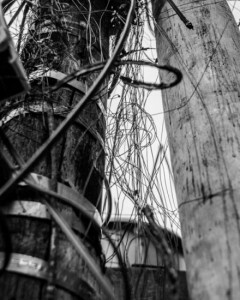 For me, a guy who extends an Internet cable and distributes it to the whole street is a maker,” she explains. The designer and maker Marlus Araújo says that gambiarras, or hacks, are increasingly valued but need to be perfected. “Most inventions throughout history have started as some kind of experiment or hack, but later they get resources and become projects. When you don’t have resources, the hack or prototype is the final solution. Our society loves to aggrandize this popular creativity, the famous jeitinho brasileiro [literally, ‘the little Brazilian way’ to mean there’s always a way around every problem] to create solutions for a better life, ease our difficulties, but it doesn’t offer a deeper transformation in social relations or power,” he observes. For him, as well as enabling this creativity for people who already have hacks for day-to-day life, there should also be investment in spaces for development within the communities. “Ask a maker (or gambiólogo) from the favela what he’d prefer: win the maker prize of the year or have a makerspace in his community, a workshop where he can do everything? Of course he’s going to prefer the makerspace. This would be breaking out of the hacks and impacting the lives of many people. In my vision, as much as I admire life’s hackers, they should only serve as an indication of where creativity should be enabled. I believe that public makerspace projects, as much outside as inside the peripheries, should be stimulated to make the most of this creative potential and generate deeper transformations in society,” he challenges. In Rio de Janeiro an initiative which has been attracting attention has been the Digital Mapping by Adolescents and Young People, headed by UNICEF in partnership with CEDAPS (Center for the Promotion of Health), and whose methodology was already replicated in 20 communities throughout Brazil. Youth use smartphones to map through geo-referencing the problems in their communities and later propose solutions for them. Patrick, 15, who participated in the experience in Campo Grande in the West Zone, says that it’s fundamental for residents themselves to be able to think of alternatives for the places they live. “It’s not every day that we get the opportunity to change our neighborhood, and I really liked doing this. We can’t always think about the negligence and the problems, see the gaps and do something about it. There are local government programs that don’t work and a project like this shows what can work. If we can do it, why can’t the government?” he asks. With a similar proposal, the application Nós por Nós (Us by Us) is being created. Developed by young people in the Rio de Janeiro Youth Forum, the app promises to work as a self defense tool. “An application so that we can denounce issues and therefore build and consolidate a network of protection and mutual support,” according to the description. The Favelado 2.0 residency has support from Via Varejo and the Common Action Forum and aims to increasingly empower a collaborative culture in the favela stimulating everyone to share knowledge with others, as well as strengthening a culture of local networks of connected favela residents building their own future. The residency offers workshops on photography, YouTube video production, creative writing, online activism, collaborative coverage, social media, creativity, fanzines, hacking Facebook, project development and creative enterprise. More information about registration can be found here. 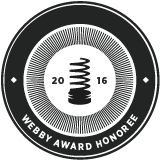 This article was written by Debora Pio, and published on February 16, 2016.